Can a minor sign a lease? Anyone can sign a lease. The question is whether the person can be held accountable to follow the requirements of the lease, such as paying rent. A lease is a contract. A minor is generally not bound by his or her contracts. This means that, if a minor enters into a contract, the law will allow the minor to cancel, or “void” the contract. The law gives the minor the power to choose whether s/he wants to honor the contract or avoid the obligation. There is, however, an exception. If a minor receives any of the “basic necessities of life” under a contract, s/he is obligated to pay for them at a reasonable price. Lodging is considered a basic necessity (Corpus Juris Secundum, Infants, § 240). If a tenant is a minor at the beginning of his or her tenancy and continues to live in the rented property after reaching age 18, s/he can then be held to the terms of the lease as an adult. 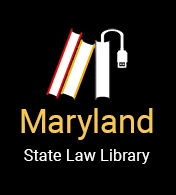 (See Maryland Law Encyclopedia, Infants and Minors, §§ 43 & 48). How can a landlord protect him/herself if a minor wants to rent an apartment? If a landlord is worried about renting to a minor, the landlord can ask the minor to find an adult to co-sign the lease. If any problems occur, the landlord can look to the adult for the unpaid rent or other problems.